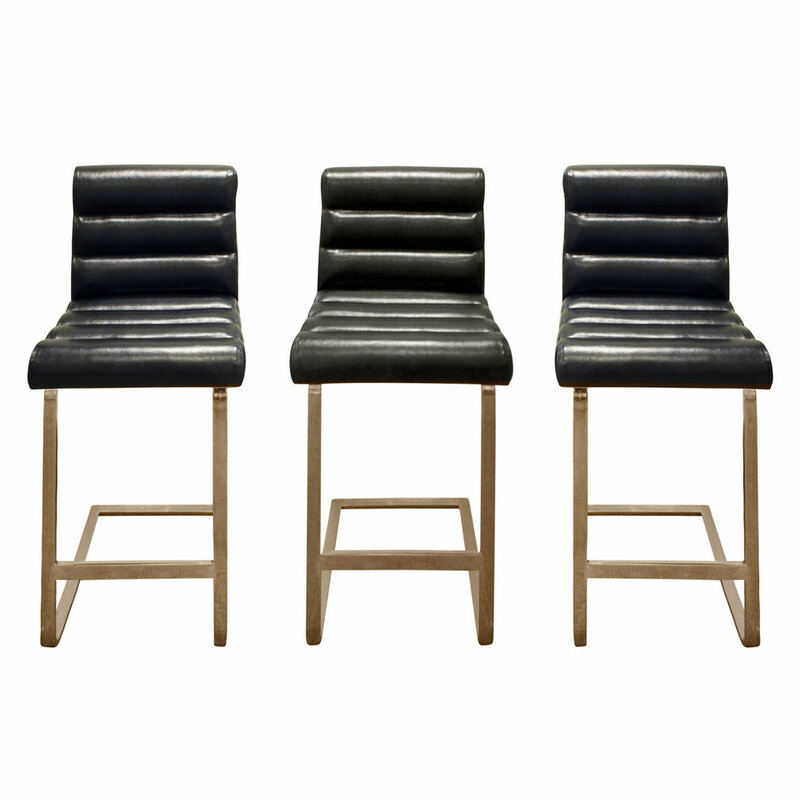 Set of 3 counter height bar stools in brass with newly upholstered black calf skin seats and backs by Pace Collection, American 1970's. These are newly upholstered by Lobel Modern. Condition: Excellent. Brass has patina commensurate with age.